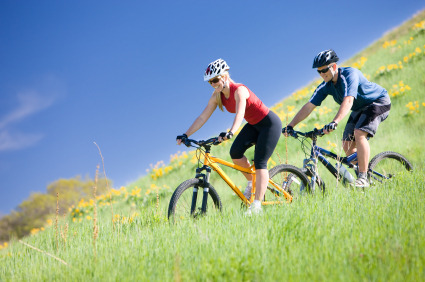 »What Is Physical Wellbeing? – Fitness or Wellbeing of the Body? Lack of physical wellbeing is a growing problem for a growing amount of people today. Fortunately, however, you don’t have to suffer from it once you know how to balance yourself physical awareness. That’s what you’ll learn about in this article. Specifically, you’ll learn the definition of physical wellbeing and also find out relationship with other health areas like emotional and mental. Let’s dive into the topic. You should know the difference between physical wellbeing and fitness since there is a misconception about it. Being well and being fit is entirely different and have exclusive conditions, but both are essential in maintaining vitality and health. A fitness counselor or licensed fitness instructor at a fitness club or local gym can test your fitness levels, while wellbeing is determined generally by optimum functioning of your immune systems. Wellbeing is the state of good physical and emotional health, and is further enhanced by a balanced diet, exercise, and healthy living habits. Nutrition refers to providing our bodies with the right foods and nutrients, in our ability to keep it healthy and functioning properly. Healthy living habits are those that do not cause us harm, such as avoiding smoking, drugs, and drinking excessive alcohol. Wellbeing of the body occurs when all the body functions, both physical and mental are performing at optimal levels. Achieving total body wellbeing is more than just going to the gym, though. The human body is considered fit if its mental and physical health are good, it strictly follows proper habits, diets, and exercises, and can handle and deal with everyday stresses. Many factors contribute to our body’s wellbeing. The daily intake of the right food, vitamins, and water are necessary. It is also important to think about the physical conditioning our body to deal with life. Physical exercise is key to the wellbeing of the body. Trying to achieve good nutrition without good physical health is pointless. They work together. You should nurture your body with proper nutrition to function well and stay healthy. Important minerals, vitamins, and foods must be provided to achieve overall fitness. Keep in mind that good spiritual, mental, and physical health is the real meaning of wellbeing. The body is comprised of all of our physical processes, as well as our mental processes. When we think about the wellbeing of the body, we usually think about weight and muscle tone. But what about all of our other organs and functions? It is important to consider all of our body’s parts, inside and out. This can be achieved through daily physical activity that addresses the body as a whole, and by taking the time to rest and restore our bodies through sleep. Physical exercises absolutely help the body to become strong. All parts of your body need to function as a whole. Therefore, the absence of one factor can fail your entire fitness needs. Take for instance; you only focus on maintaining your weight and meeting cardiovascular needs. You forgot that your body is not only composed of your heart. All your other organs should also be functioning well. Body fitness is not only achieving a beautiful figure but replenishing what was depleted from the body due to daily activities. Physical exercises should benefit your entire body. Physical well-being occurs if all the processes of the body associated with mental and physical state are functioning at its peak levels. However, this is not only a one day task. It does not necessarily mean going to a gym or simply taking a walk in a park. By using our resources intelligently and educating ourselves about total body wellbeing, it is not a hard goal to achieve. It can be a lengthy process, though. Years of abusing your body can take its toll, and getting it into good condition will take time and patience. Taking care and consideration for every part of your body will result in total body wellbeing. Everything will work together efficiently, and life will be more enjoyable. The human body, when treated properly, is a well-oiled machine. Giving proper attention on the physical needs of every body parts can also result to total body fitness. Never forget that these parts are working in unison with one another. In order for the limbs to function at its peak levels, two hands, two eyes, two feet, and other parts are important. The body maintains its balance if both fitness and wellbeing are in its maximum levels. Generally, nutritional intake affects the ability of the mind, body, and staying well. If this is combined with healthy eating, clean living, and regular exercise, then it will result to total wellbeing and fitness. Your physical body works better compared to any invented machine. It’s more powerful and complex, thus it can take more abuse yet continuously operate without meeting its everyday requirements for a few days. But if you put first physical wellbeing in your life, then your body can do its work tremendously well. The human body is also home to our mind and soul, and when the body is in tune, our mind and soul can be strong as well. Congratulations! You now have a basic understanding of what physical wellbeing is. Indeed, if universities handed out PhDs in the field of physical wellbeing, you’d have one by reading the further material about this topic! Yes, just knowing all the physical wellbeing tips, tricks and secrets is quite an accomplishment. But the truth is, you need to take action now!